Looking for best freelancing websites? 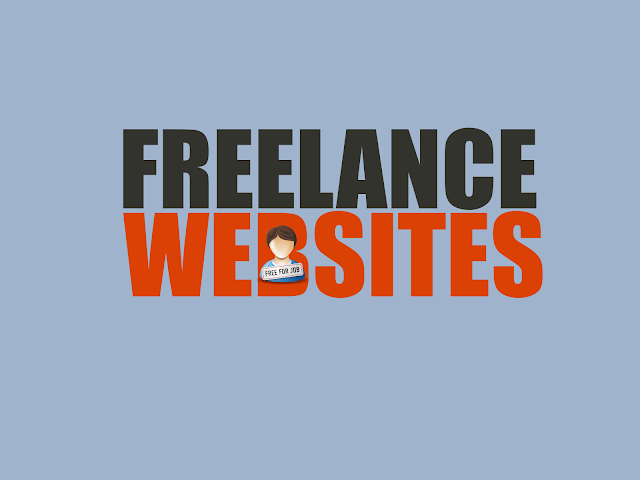 We have compiled a list of websites that offer best freelance careers. There is something extremely attractive about being a freelancer. You paddle your own canoe. You decide how and when you work. Your personal growth and success depend only on your engagement. But to keep this beautiful idea alive you need to provide yourself with a sufficient number of beneficial job offers and (most importantly) a group of regular customers. There is a whole ocean of job boards on the web, but some of them definitely stand out. I collected 20 that I’m sure you will be happy to use. Freelancer is a giant who took over GetAFreelancer.com, EUFreelance.com, LimeExchange and several other outsourcing portals. At the time when I’m making this list, they have 6,939,608 offers for verbatim everyone. This is arguably one of the best freelance website available. Are you a jeweler? A gardener? Maybe you want to participate in a flash mob or translate some text from Urdu? Here you can approve yourself. Getting a job on Freelancer involves bidding. Once the offer is published, you have to bid for work, setting a price, presenting your skills and promoting your services. So it’s all up to you. Hubstaff Talent is the free way for businesses and freelancers to connect - there are no fees and no markups. Once you create a profile businesses can search for you based on skill, location or experience and contact you directly if they feel you'd be a good fit for their gig - no middlemen involved. Freelancers can also browse through hundreds of remote jobs on the Hubstaff Talent Remote Job Board. People per hour is a useful freelancer site with a variety of options. You can choose from pre-selected gigs to a custom project. The quality of workers is different based on different needs. Go for the workers with best reviews and you will have a better quality work. This site offers free registration, frequent updates of job offers. Find your niche in one of many categories: design, web development, software development, writing, translation, tutorials, marketing, business support, audio, video & photo, art, and social media. You can post your offers on the wall, communicate with clients personally, and promote your services in several easy ways. TopTal is a freelance marketplace with absolutely niche talent. They primarily specialize in keeping the top quality talent for software development. If you are looking for absolutely no-nonsense talent you must go here. The quality of work is an absolutely top notch and people are highly skilled at the same time reasonably affordable. As a freelancer, If you are a senior developer, Toptal is where you want to work. Toptal is a specialized marketplace for top developers and top companies. Unlike Elance, ODesk, or Guru (where you can find also writers, marketers, etc) Toptal is focused on developers. Every developer in the network has a proven record as senior, expert level engineer, and each has passed a tough screening process including English testing. Only the top 3% of applicants are accepted but they earn premium wages in comparison to other sites and work with top clients like Airbnb, JP Morgan, and Zendesk. Fiverr is a real playground for freelancers. You can sell whatever you are good (as long as it’s legal ;) ) starting at $5. You can also expand your services, adding new gigs and pricing them as you want. No matter how experienced you are, UpWork will find you a job you will enjoy. They monthly post over 100.000 offers, both long and short term, paid for per project or hourly, easy or more complicated - depending on your skill level. You choose the way you want to work and get paid. If you do good work and deliver it on time, clients will rate you, so you will be more recognizable and, therefore, more likely hired. Become a guru in your profession. Create a profile and start looking for offers that suit you or allow yourself to be found by potential employers. There are a lot of niches and categories from development to law, so you will surely find something that matches your skills. 99designs craves for designers in all possible meanings. If you can design logos, business cards, websites, apps, infographic, t-shirts, cards, invitations, product packages, books, and magazine covers, you can boldly participate in contest… Wait, what contest? On 99desgins whether you get a job or not depends on how good you get along with a potential employer. This is how it works: the customer launches a design brief in a marketplace. If you pick this brief and start brainstorming it, it’s more than likely that several freelancers like you are doing the same. After 7 days customer chooses the winner and pays him a pre-determined price. So the better you deal with it, the bigger the possibility you will be the winner. Smashing Jobs is Smashing Magazine’s job board. You can find here some attractive offers, mostly for designers and programmers, but also for game developers, project managers, writers, digital sellers, and photographers. You can switch between full-time and freelance jobs. Although Craigslist is known mostly for selling and buying stuff, it is also an awesome way to find serious freelance job offers. Just pick the town on the right side of the page and go over to the jobs and temp jobs sections. It can take a long time before you find something interesting but believe me, sometimes you find some real gems. Writers only. Create a profile and solve a short writing skills test. If you are rated well, you will be able to choose from thousands of professional offers. Additionally, they provide you with a lot of practical writing resources, such as tutorials, videos, and articles. Extensive freelance jobs base with 13 main categories, including. : business consulting, engineering, architecture, graphic design, networking, photography, traditional art, education, and writing. Moreover, each category contains from 7 to 15 subcategories… Phew! That’s a lot! What else is on iFreelance? What distinguishes them from some competitors is although the registration is paid, they charge absolutely no commission on the money you earn. Simply Hired is more a job search engine than a definite job portal. You will find here both full-time and freelance offers from various customers from all over the world. You don’t have to register, just pick a category and sort results by filters: location, job type, company, and your education and experience. Freelance writing supports writers of different shades with tons of articles, tutorials, and videos. They also have their own job search engine that displays jobs for writers from others sites. It’s a very convenient solution. Search engine for strictly technological job offers. Displays precisely selected offers in a particular tech niche. Full-time, part-time, and contracts. Do you dream about changing your creativity into money? This is the place where you can be found and recognized. Behance Jobs gathers the portfolio of freelancers who specialize in creative jobs such as advertising, animation, architecture, art direction, branding, calligraphy, and cartooning. They advertise themselves as the world's #1 marketplace for logos, graphic design, and naming. Make your portfolio and compete with others to get your dream job. Click “participate” in chosen offer and convince the customer to pick you. How? Be creative, figure something outstanding out. It’s fun and easy to find some great offers here. There are 8 main categories of jobs, then you choose location and filter categories you are interested in (full-time, part-time, freelance, contract, etc.). There are a lot of jobs for developers, designers, managers, information architects and content strategists. They have about 90.000 jobs posted monthly, so it’s more than likely that you will find something for you, whether you are a designer, writer, attorney or architect. You can create a profile for free and look for satisfying offers. You can also let their system do it for you. What’s really cool is that they do all the boring stuff like paperwork, invoicing, and payment for you. If you are a creative designer, you will for sure love to join our thriving community of 40,000+ talented designers. Designhill is one of the fastest-growing graphic design marketplaces connecting graphic designers from across the globe with clients looking to source high-quality graphic designs at affordable prices. The platform offers a range of products for designers to earn including design contests, ready made store for digital goods, custom services and one to one projects. To get started, all one needs to do is make a portfolio of their designs and explore different opportunities available on the platform to earn. Did this list work for you? Did you find some cracking offer? Or maybe you know another job portal that should appear on this list? I’d love to hear from you! Updated Sep 2017 - Added More websites and fixed minor fixes. Updated May 2017 - Added More websites and fixed minor fixes. Jan Godlewski, creative writer at TimeCamp. Jan writes about productivity hacks, self-growth, time tracking and project management.